and development of karst. He integrates the rock of karst surface phenomena and caves with their formation, rock relief, development conditions, and regional characteristics into new developmental models that serve as one of the introductory research contacts with karst phenomena and landscapes. He develops laboratory modeling of the development of the rock relief of karst features. He also studies Chinese, Australian, Iranian, Japanese, Vietnamese, Croatian, Cuban, Altay, Brazilian and French karst as well as the karst of the United Arab Emirates. He strives to develop a comprehensive karstology that incorporates the most important fields of research of the three-dimensional karst landscape. He is author of the book Cave Rocky Relief (1995), co-founder, co-editor, and co-author of the books Karst features discovered during motorway construction on Slovene karst (2007), Karst rock features, Karren sculpturing (2009), South China Karst 1 (1998), South China Karst 2 (2011), new edition Karstology and Development Challenges on Karst (2012, 2013), The Beka-Ocizla Cave System (2015), Cave Exploration in Slovenia (2016), and 15 chapters in other 13 books and encyclopedias. He is the initiator and co-founder of the first and only karstology study program at the international level. He develops and teaches a number of karstology courses at the university and doctoral levels (principles of karstology, karst geomorphology and speleology, developmental challenges on karst). He actively participates in the content and organizational development of international karstology; as head of the Karst Research Institute he is co-organizer and signatory of treaties on international cooperation with research and study institutions in Europe, China, the Middle East, Brazil, Russia, the United States of America, and Africa. He is the co-initiator and co-founder of the International Center for Karst Research of Yunnan University and the Yunnan International Karst Environmental Laboratory. He is the co-initiator and co-founder of the International Karstological Academy. He participates in international projects. He conducts and participates in directly applicable research studies. Head of Karst Research Institute (since 1995). Karst Research central karstological program leader (from 1999 onward). Member of the Organizing Committee of the International Karstological School “Classical Karst”. Co-head of the executive and science-counseling committee of the Center for Karst Research of Yunnan University and the Yunnan International Karst Environmental Laboratory. Member of the Scientific Council of the UNESCO International Karst Research Center in Guilin, China. Member of the International Karstological Academy and coordinator of its work. 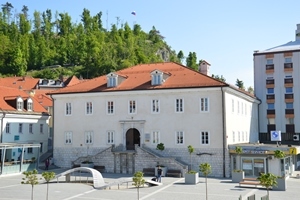 ERUDIO Institute for Education, School of Sustainable Tourism, Ljubljana, Slovenia. development of karst phenomena for tourism. International Geographical Union IGU - Karst Commission and International Union of Speleologists and Commission on karst, hydrogeology and speleogenesis.